We have a number of autographed CDs, photographs and other items for fans, in return for a donation to the Alexandra Bastedo Champions (ABC) Animal Sanctuary. The sanctuary is run entirely by volunteers, and every penny donated is spent on caring for the animals. 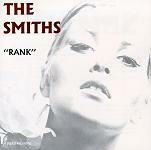 Rank by The Smiths, featuring Alexandra on the cover (CD). We only have a few of these, and Alexandra will be happy to personally dedicate them. 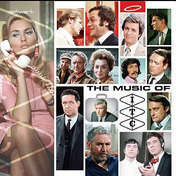 Not only does it feature music from all the great IT series - The Champions, Department S, The Saint and Jason King to name just a few - it also features Alexandra prominently on the cover. If you'd like Alexandra to personally dedicate yours, please just let us know. Please use the button below to donate and enter "ITC CD" in the PayPal description box. Don't forget to include your name and adress. If you have something you would like Alexandra to sign - a DVD inlay for example - then please send it - with a self-adressed stamped envelope to the address on the "contact me" page. It would be appreciated if you could send a minimum donation of £15.00 to the animal sanctuary with the item for signature. On the following page you can find a selection of photographs that Alexandra will be happy to sign in return for your kind donation.